Данная статья посвящена вопросам влияния концепции Евразийства на развитие казахского языка. Казахстан, являясь частью многих интеграционных процессов, не должен забывать о своей уникальности, которая выражается в собственных традициях и наличии собственного языка. В данной статье особое внимание уделяется концепции Евразийства Президента Республики Казахстан Н. Назарбаева. Автор в статье раскрывает вопросы о статусе казахского языка и различных мероприятиях, проводимых государством для развития и поддержания государственного языка в стране. Автором приводятся доводы, согласно которым, концепция Евразийства не будет оказывать какого-либо влияние на развитие казахского языка в будущем. Ключевые слова: Евразийство, казахский язык, Нурсултан Назарбаев, триединство языков, русификация, суперэтнос. This article is devoted to the influence of the concept of Eurasianism in the development of the Kazakh language. Kazakhstan, being a part of many integration processes, should not forget about its uniqueness, which is expressed in the presence of its own traditions and its own language. In this paper, special attention is paid to the concept of Eurasianism of the President of the Republic of Kazakhstan N. Nazarbayev . 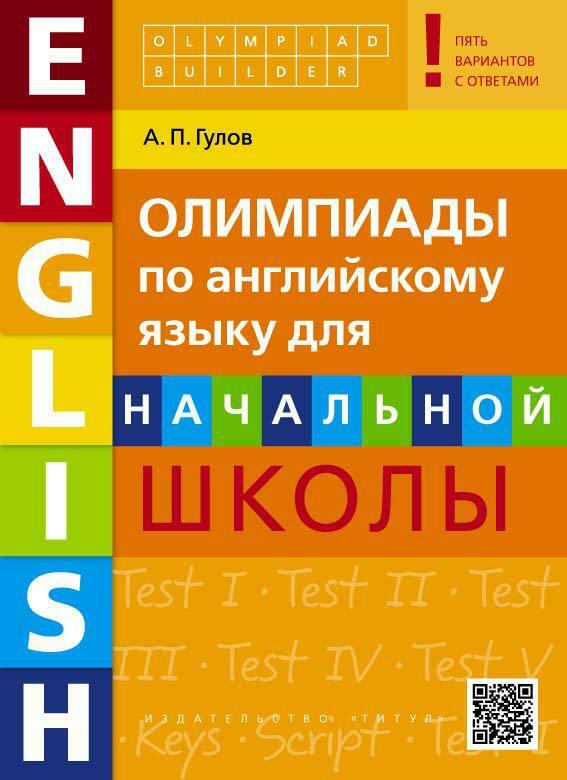 The author of the article reveals questions about the status of the Kazakh language and the various activities, carried out by the government for the development and maintenance of the state language in the country. The author argues, according to which the concept of Eurasianism will not have any impact on the development of the Kazakh language in the future. Keywords: Eurasianism, the Kazakh language, Nursultan Nazarbayev, trinity of languages,Russification, superethnos. the cultural and national identity"
The concept of Eurasianism is a topical subject for the present. According to the ideology of President Nursultan Nazarbayev, the Eurasian union - is a union of equal nations, each has its own culture, customs and traditions . The main purpose of this work is to determine how Eurasianism affect the Kazakh language. Kazakh culture historically has the ability to co-existence of different ethnic, social and religious groups, the ability to cultural synthesis. Kazakhstan - a multinational state. The country is home to over 125 ethnic groups, each of them has its own special traditions, customs and their national language. The presence of their own language determines the presence of the culture of each nation. In Kazakhstan every nation and its cultural manifestation are appreciated. Today there is a concept of «trinity of languages» in the country, that's why the citizens of the country should be able to speak Kazakh, Russian and English. At the same time since 1991, after gaining independence, Kazakhstan announced the Kazakh language as the state language. And according to the Constitution, every citizen of our country must know it. Unfortunately, today not everyone knows the Kazakh language. Most of people speak in Russian. According to the 2009 census, 94.4% of the population indicated that they understand the Russian language, 84.8% of the population able to read and write in Russian, 3.4% only read. At the same time only 74% of the population understand the Kazakh language, 62% of the population can read and write in Kazakh and 2.9% only read . And this Russification of the population in the majority of cases occurred due to historical reasons. One of the reason that in the Soviet Union in Kazakhstan there were very few schools in the Kazakh language, and people had to send their children to schools, where classes were held in Russian language. Now the opposite is true, there is an equal number of schools who teach classes as in the Kazakh language and in Russian. Moreover, our Government strongly supports, develops and organizes various programs and activities for the implementation and development of the Kazakh language among the population. In Kazakhstan, the Concept of Language Policy of the Republic of Kazakhstan and the State Program of functioning and development of languages ​​for 2001-2010 were signed, where by 2010 in all central and local executive bodies was planed a phased implementation of the state language. And by 2010, 70% of the documents have been translated into the Kazakh language. Already in Kazakhstan according to the popularization of the Kazakh language program has been produced 15 languid Dictionary of the Kazakh language, the big spelling dictionary Kazakh language, as well as 30 languid lexicon. There are a lot of Measures, that are taken to provide state support to citizens in the study of the Kazakh language, organization of free courses by level of education at the training centers of the state language. Also Government organize work to promote the state language through the PR-technologies through joint actions of public-private partnerships, involving persons of status and well-known families of ethnic groups speaking the Kazakh language and so on. The President noted that by 2025 all educational institutions will go to training in the Kazakh language, and also in accordance with the State program development and functioning of languages in the Republic of Kazakhstan for 2011-2020 is expected that the share of Kazakhstani owning state language, will increase from 60 to 95% . Today all the efforts of the state are already operating in this direction. And as for the Eurasianism and how it will affect the languages of the participating countries, it all depends only on the state itself and on how it understands the concept of Eurasianism. If people follow the idea of ​​ President Nursultan Nazarbayev that Eurasianism is a union in the first place of equal people, taking into account the culture and traditions of each of them, the Eurasian union and the fact that we are a member does not affect the language in this and in any other countries. But if suddenly people will follow the ideas of many Russian historians and ethnographers that Russia must stand at the head of the Eurasian union, then of course all the people belonging to this association, will speak in Russian and Kazakh language probably just disappear. But this will never happen, because President Nursultan Nazarbayev is simply not allow this to happen. Government of the Republic of Kazakhstan after the efforts which it applies to the Kazakh language was the common language of all people of Kazakhstan, hardly abandon his ideas only to participate in the Eurasian union. On the contrary, Kazakhstan will be one of those who would promote the idea of the uniqueness of each nation, managed to unite with the same unique as it is the state of equal and similar in culture and spirit. Take the example of the European union. Mainland Europe comprises about 50 states, each of which has its own culture, customs and traditions. Yes, they are similar to each other and perhaps even identical, but each of them is unique. And one of the manifestations of this uniqueness is the language they speak. In fact, each country speaks its own language. In France people speak French, in Germany - German and so on. In this case, it did not prevent them to unite and become one superethnos. Eurasianism should be the same. The state-members must create its own unique superethnos, while should not forget about the uniqueness of each people entering into it. That means that being a part of this superethnos people of our country should not forget the Kazakh language, on the contrary, the Kazakh language should be honored and more frequently used by them. At the same time, other languages ​​ also should be honored, and in any case should not be infringed. Therefore the Eurasian union does not affect the language, if country will follow the idea of president Nursultan Nazarbayev, and just because government is doing everything to make the people spoke in Kazakh language. Because as president Nursultan Nazarbayev said: «We must make every effort to further development of the Kazakh language, which is the main factor uniting all people of Kazakhstan» . 1. Назарбаев Н.А. Евразийская идея Нурсултана Назарбаева // Евразийские инициативы Президента Н.А. Назарбаева. URL: http://www.eurasianism.enu.kz/elektronnye-resursy/uchenyy-mir-o-evraziystve/632/ (дата обращения 09.04.2015). Бимагамбетова Жибек Тобулбаевна, кандидат филологических наук, доцент кафедры Дипломатического перевода факультета Международных отношений Казахского Национального университета имени аль-Фараби.